HTC have just announced the brand new Desire 620 with 4G connectivity, 5MP front-facing camera for the perfect ‘selfies’ and all wrapped up in a colourful and eye-catching design. You can’t get it from Santa yet, but it’ll be out in 2015. The HTC Desire 620 follows the highly successful HTC Desire 610 and features the same two tone palette as the HTC Desire EYE and HTC Desire 820. It comes in a choice of Santorini White (white with blue accent) and Tuxedo Gray (matte gray with light gray accent). “Our new HTC Desire model delivers the best of both worlds, combining a fresh, youthful design with powerful processing and super-fast connectivity. The HTC Desire 620 is the perfect choice for entertainment lovers looking for an affordable smartphone that balances quality performance with stunning design” said Peter Frølund, UK /IE and Nordics General Manager, HTC Corporation. Video and images can be viewed in stunning detail on the 5” high definition display, while the Desire 620 allows you to stay up to date on the latest breaking news and social feeds via HTC BlinkFeed. Inside the Desire 620 is the latest Snapdragon 410 Qualcomm processor, with Android 4.4 and HTC Sense 6 to help power your video and gaming experience and ensure a smooth transition between screens when multi-tasking. Support for 4G LTE delivers download speeds of 150mbps. The HTC Desire 620 features an 8MP main camera and 5MP front camera with Auto Focus and continuous shooting functionality. The option to capture video at 1080p on both the front and rear cameras makes it ideal for video chats with your friends and family. 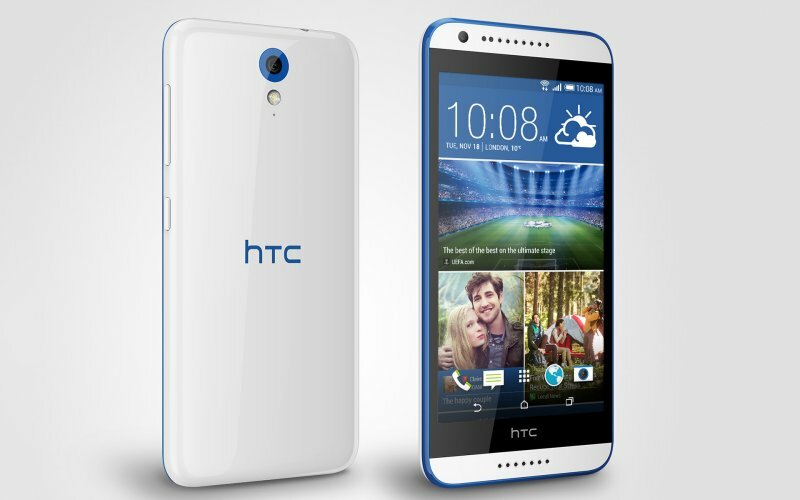 The HTC Desire 620 will be available in early 2015 at Three, Meteor and Carphone Warehouse.